A digital multimeter can measure voltage, current, and resistance. The type of measurement is determined by the position of the selection knob and the test leads. A digital multimeter can used to trouble shoot circuits. In this case, a switch, which appears to be closed, is discovered to be not conducting current due to dirt on the contacts. 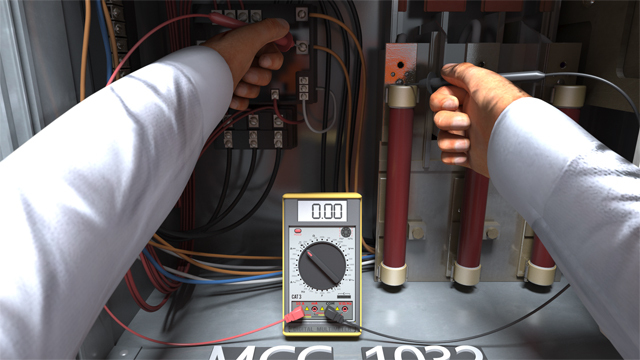 Measuring current with a digital multimeter involves breaking into the circuit so that current can flow through the meter. A digital multimeter is a single instrument that is capable of measuring voltage, current, and resistance, so it is useful for troubleshooting electrical circuits and equipment. Voltage measurements can be made between any two arbitrary points in a circuit or relative to a single absolute ground point. 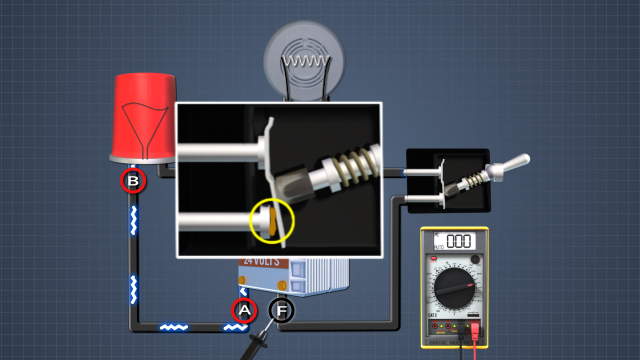 Either method can be used to isolate component performance problems within a circuit. Current measurements with a multimeter require incorporating the meter into a circuit, so they are more difficult to make. 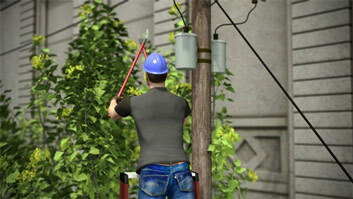 Voltage and current measurements require that a circuit be energized. 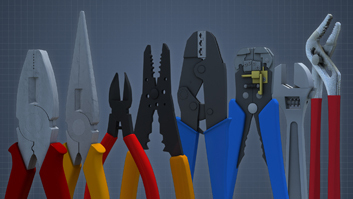 Resistance measurements require that the power be off and the tested component isolated from the rest of the circuit. 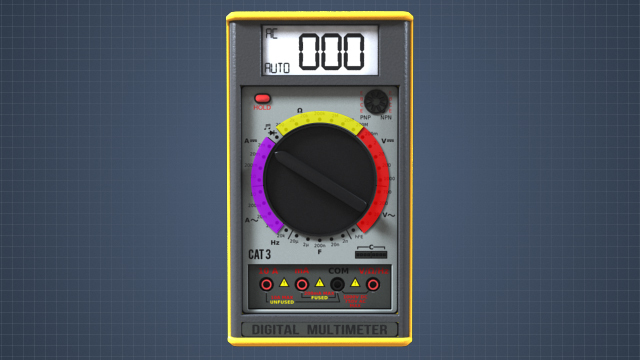 What measurements can be made with a digital multimeter? A digital multimeter is a single instrument that is capable of measuring voltage, current, and resistance. Some models may additionally include the ability to perform capacitance measurement, diode or transistor testing, and temperature measurement. What are the basic external features of a digital multimeter? A digital multimeter consists of three major external features, a display, a function selection knob, and test lead ports. 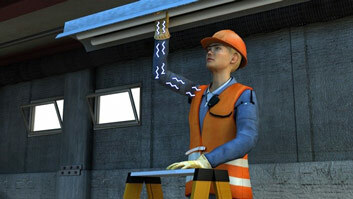 Voltage is a measure of the charge potential between any two points in an electrical circuit. A component such as a light bulb has continuity if there is a complete conductive path for electricity through the component. If no current is flowing through an electrical component, what will be the voltage drop across that component? 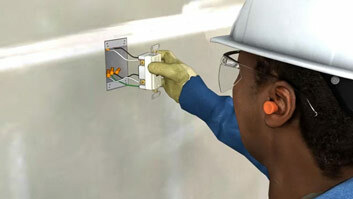 If there is no current flow through an electrical component, there will be no voltage drop across that component. Voltage readings can be relative or absolute. Absolute readings are measured against a reference, or ground point. 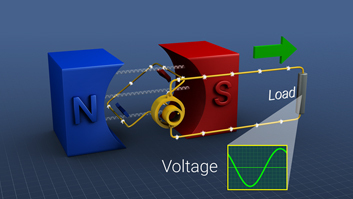 Relative measurements, or voltage drops, are made between any two arbitrary points. 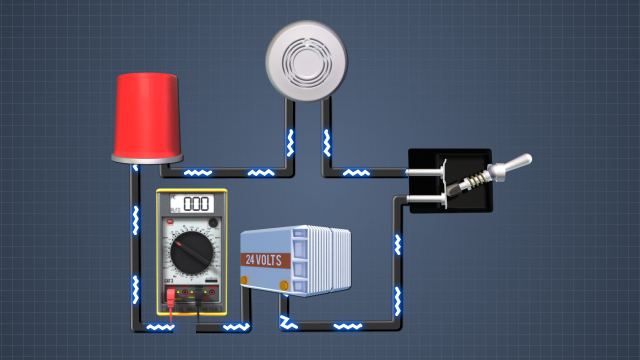 In any circuit, the sum of the voltage drops across each component is equal to the source voltage. This fact can be used to troubleshoot a circuit. For example, in this circuit the power source is 24 volts and the ground at point F is 0 volts. When the circuit is operating normally and the switch is closed, the absolute voltage at point B is 24, since there is no drop in voltage through the wire from the power source at point A. The voltage after the lamp (point C) is 8, due to the resistance of the filament in the lamp, and the voltage after the buzzer (point D) is 0, due to the resistance of the coil in the buzzer.